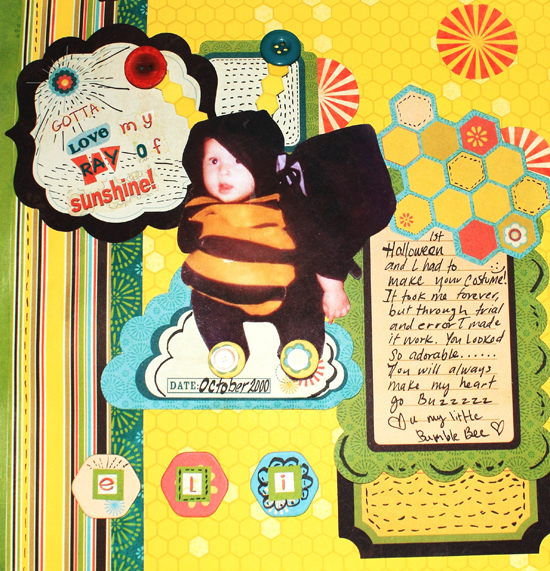 If you love using bold, bright colors in your summertime cards and layouts, then hop on over to pick up the Hello Sunshine I Want It All! Full Collection Bundle from BoBunny. 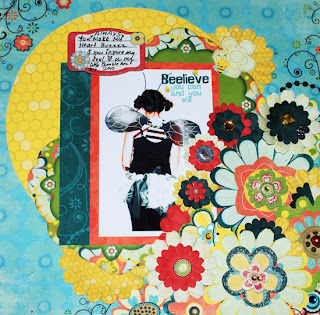 Nina has created many wonderful projects from this bundle and has even included a tutorial on the adorable card she made! 1. 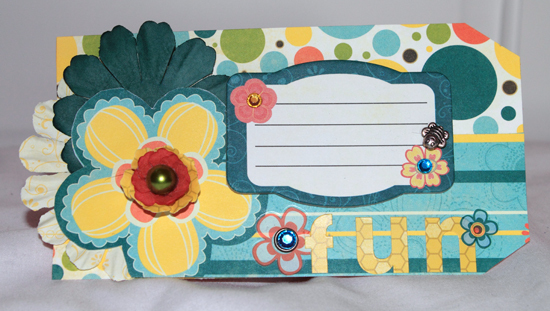 Cut Hello Sunshine Dot (SideB) sheet 12x6" and score at 6" this becomes the base of your card. 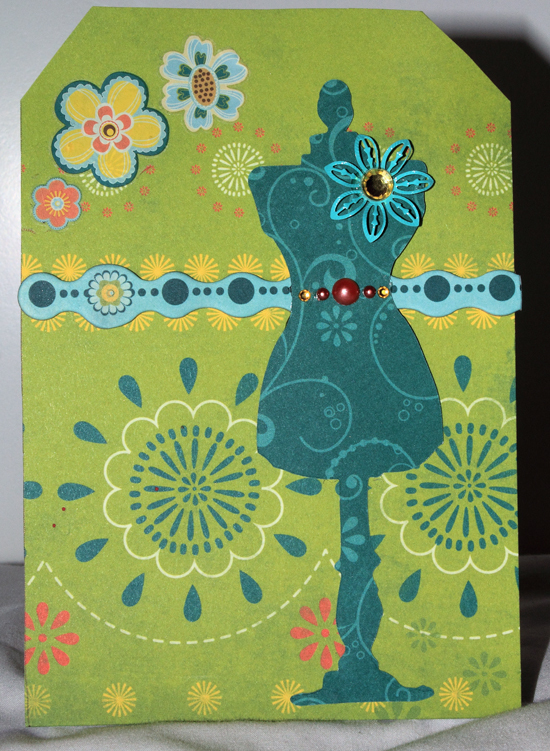 Distress the sides of card. 2. 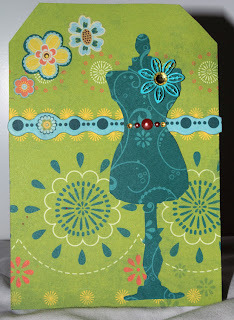 Take Hello Sunshine sheet and cut 4 1/2x 5" distress edges and glue to middle of card. 3. 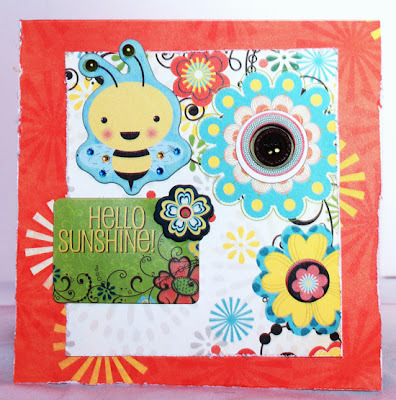 Place Hello Sunshine sticker 1 1/2" above lower left hand corner and adhere with foam dots. 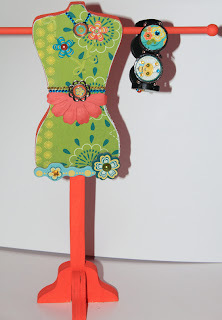 Place a flower chipboard sticker on upper right hand corner. 4. Place chipboard sticker (Bumble Bee) above Hello Sunshine sticker. Add pearls for antennas and rhinestones around wings. 5. Add circle chipboard stickers in middle of flower images and a button above the top flower.